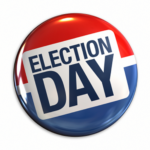 Election Day Resources for Entrepreneurs and Small Businesses: Go Vote! It’s Election Day! The 2016 elections will be coming to a close. Take a look at our Election Day resources for entrepreneurs and small businesses to help you as you cast your ballot. Here’s How the Next President Can Help Small Businesses Grow (VIDEO and article), The Street. SBE Council president & CEO Karen Kerrigan is interviewed by Rhonda Schaffler. The Top Small Business Questions Before the Elections, Home Business Magazine. SBE Council president & CEO Karen Kerrigan answers questions about current issues, what small business owners want to hear from the candidates, and priorities for the first 100 days of a new Administration. Small Business Voting Scorecard for the 114th Congress. SBE Council’s Congressional Scorecard gets beyond the politics and posturing to gauge exactly how Members of Congress vote on issues critical to small businesses. See how your U.S. House Members and Senators voted on the issues that matter to small business and the economy. While both Hillary Clinton and Donald Trump have indicated they are, and will continue to be, champions for small businesses, their agendas dramatically differ in terms of how they would fix or address the pain points of small business owners. As a small business owner, you know that every decision you make can impact your business. One of the biggest decisions this year, will be the one you make today as you head to the polls to select your next President and policymakers.